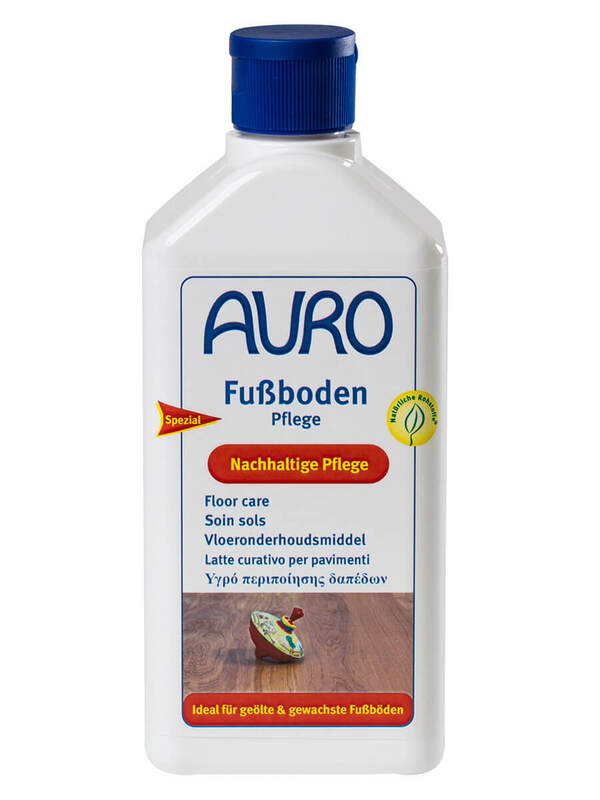 For the hygienic and ecological cleaning of carpets. Also suited for upholstery or car seats. Optimal pretreatment on heavily loaded entry areas or worn-out spots before the use of AURO Carpet cleaner no. 669. Spray onto soiled areas and let react for up to 10 minutes. 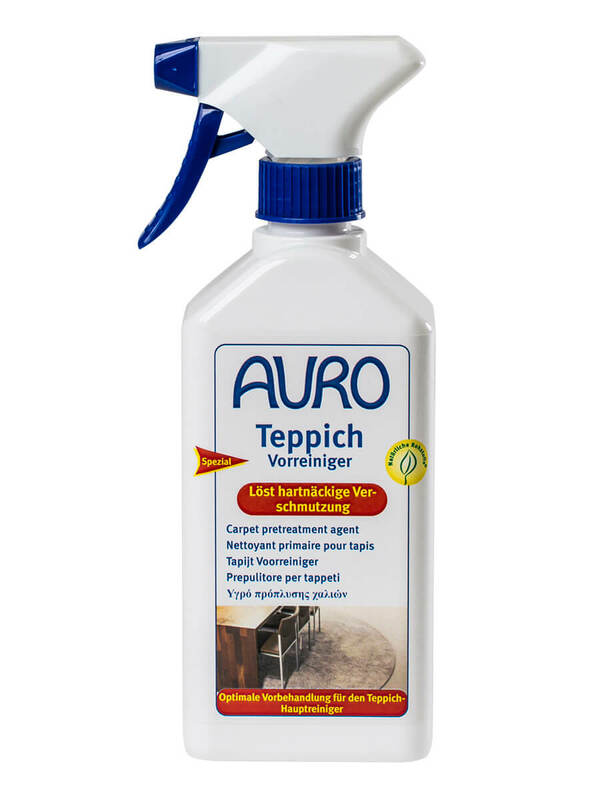 Then clean the complete carpet with AURO Carpet cleaner no. 669 in a spray extraction cleaner. Before using the pretreatment agent, remove stubborn stains with the Stain remover spray no. 667. The Stain remover no. 667, Pretreatment agent no. 665, and Carpet cleaner no. 669 are also components of the TexxClean Carpet and upholstery cleaning system no. 668. First hoover up rough dirt. Spray Carpet pretreatment onto soiled areas from a 50 cm distance and rub in. Let react for up to 10 minutes, depending on the degree of soiling. It is recommended to make a test for colour fastness on a hidden spot of the carpet. 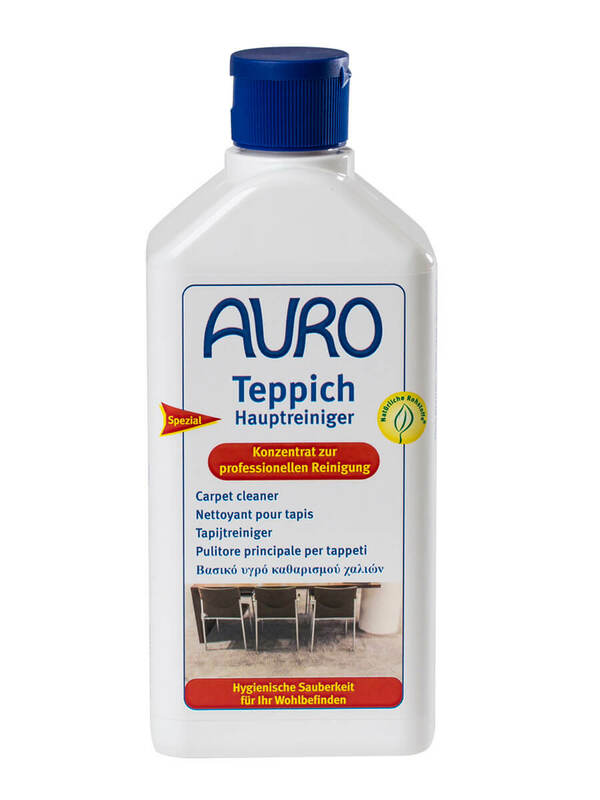 Pre-cleaning is followed by cleaning the complete carpet with AURO Carpet cleaner no. 669 in a spray extraction cleaner.